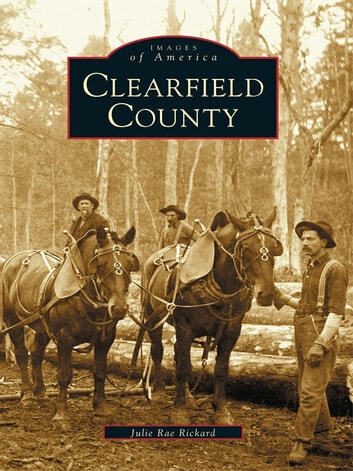 Clearfield County recalls the early days in the area's history when log drives filled the West Branch of the Susquehanna and the woods were occupied by lumbermen. Through these historic photographs, witness the growth of Curwensville, Clearfield, and DuBois despite terrible floods and fires. In the 1900s, the area became well known for its coal towns, quarries, the Gearhart Knitting Machine, and businesses such as Kurtz Brothers, Clearfield Furs, and Clearfield Cheese. The engaging photographs in Clearfield County also document how Kylertown Airport was once one of the busiest in the country and reveal how a few county residents, including Nora Waln, Philip Bliss, George Rosenkrans, and Tom Mix, found fame.